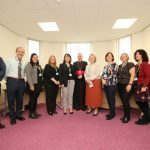 Wednesday 24 th October 2018 marked the day our new premises were blessed by The Right Reverend, Bishop Mark Davies. 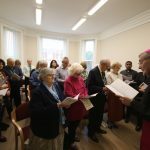 A small, family affair, the Blessing took place at Caritas’ new offices in Seacombe, Wirral. Bishop Mark led a short service followed by the blessing of those gathered and the crucifix which now hangs proudly in the entrance corridor. 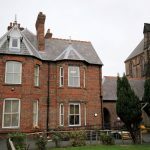 We were joined by friends and supporters old and new, including; Trustees, members of the Laity and long standing supporters of the work of the organisation. Don’t worry, we’ll be hosting Open Days very soon, so watch this space!